The Cadillac (Mountain) of Acadia National Park. What to see and where to stay in and around Maine’s Acadia National Park. Mount Desert Island and (below) an Acadia coastal road. Originally appeared in the April/May 2016 issue of Virtuoso Traveler. 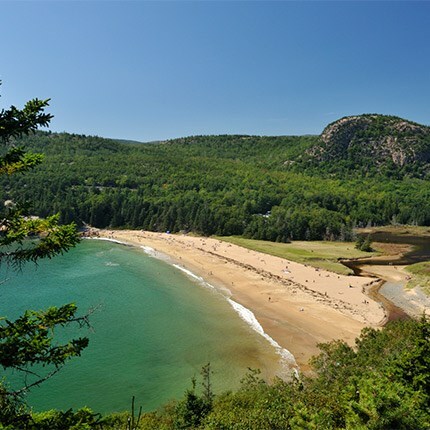 Comprising 47,000 acres along the Maine coast, Acadia was the first national park created from private land donated by individuals, most notably John D. Rockefeller. The park encompasses rocky shorelines, spruce and pine forests, lakes, and peaks – including Cadillac Mountain, which, at 1,530 feet, is the highest point along the North Atlantic seaboard. Some 125 miles of historic hiking trails make it easy to explore. KIDS WILL LOVE: Between April 16 and November 12, 2016, take part in an experiential scavenger hunt with a chance to win prizes – one of many activities and events planned for the park’s own 100th anniversary. 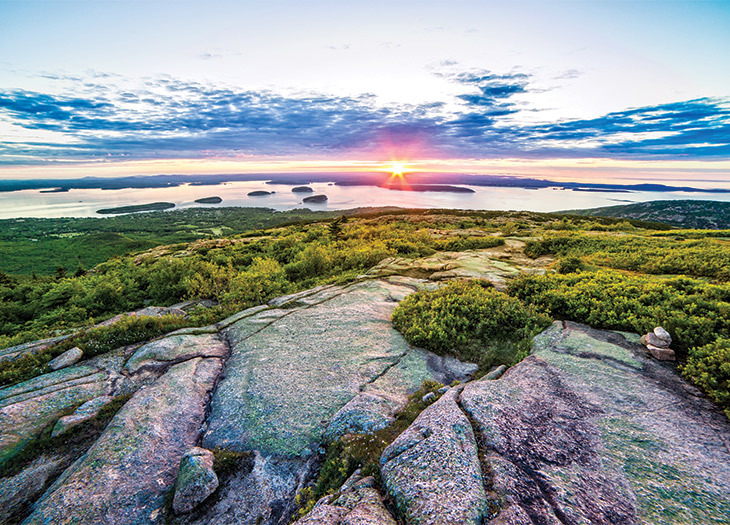 FUN FACT: Between early October and early March, Cadillac Mountain is where the first light of day strikes the U.S. each morning. DO IT: Filmmaker Ken Burns calls Acadia “one of the most intimate and beautiful of parks.” See Burns’ personal stories in exclusive filmed vignettes during a 12-day New England tour with Tauck that also includes the national historical parks of Boston and Minute Man in Concord. To plan a trip to Acadia, connect with a Virtuoso advisor below.